The torque sensor converts the rotation torque input to the steering wheel into an electrical signal and sends it to the power steering ECU. Based on this signal, the ECU detects steering effort. 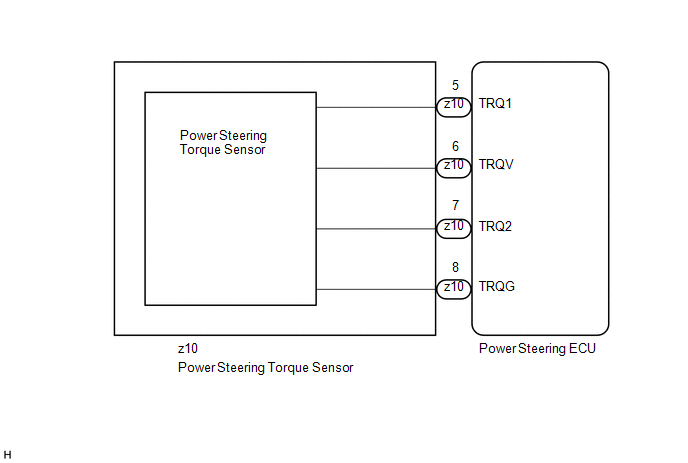 If the power steering ECU and steering column assembly have been replaced, perform the rotation angle sensor initialization and torque sensor zero point calibration (See page ). 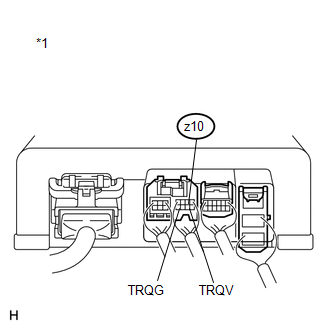 (a) Check the installation condition of the torque sensor connector. 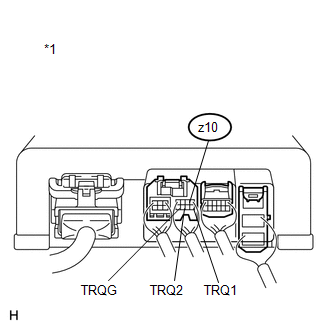 Torque sensor connector is securely connected to the power steering ECU. The engine running, steering wheel not turned (without load). The engine running, steering wheel turned to right with vehicle stopped. The engine running, steering wheel turned to left with vehicle stopped. (c) Under each condition, measure the voltage at terminals TRQ1 and TRQ2, and calculate the sum.